Chasin' Mason: [Mason] 5 Months. 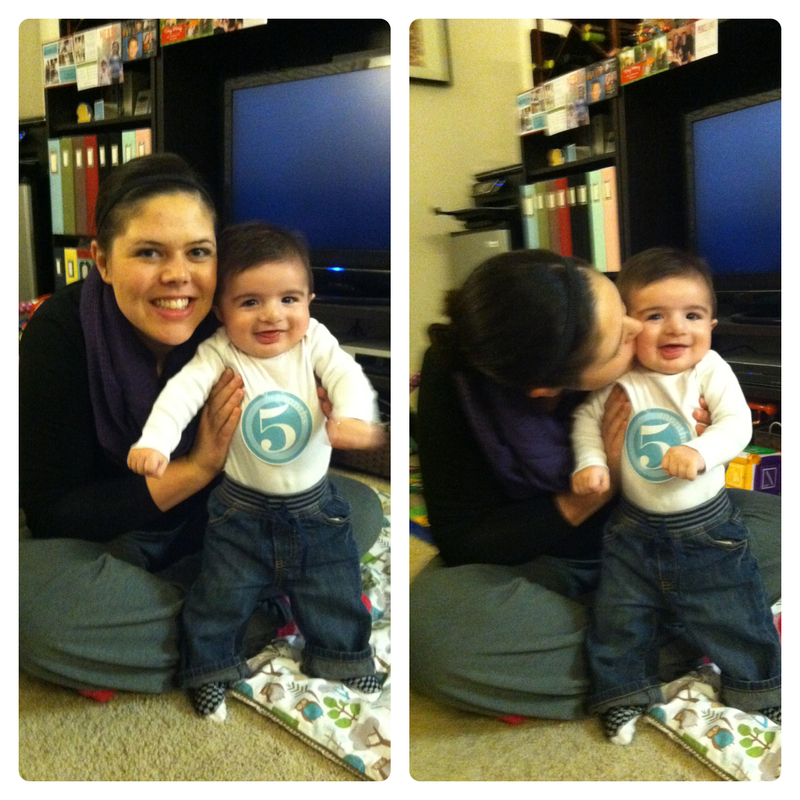 My sweet boy is 5 months old today! I can hardly believe it... boy does time fly! 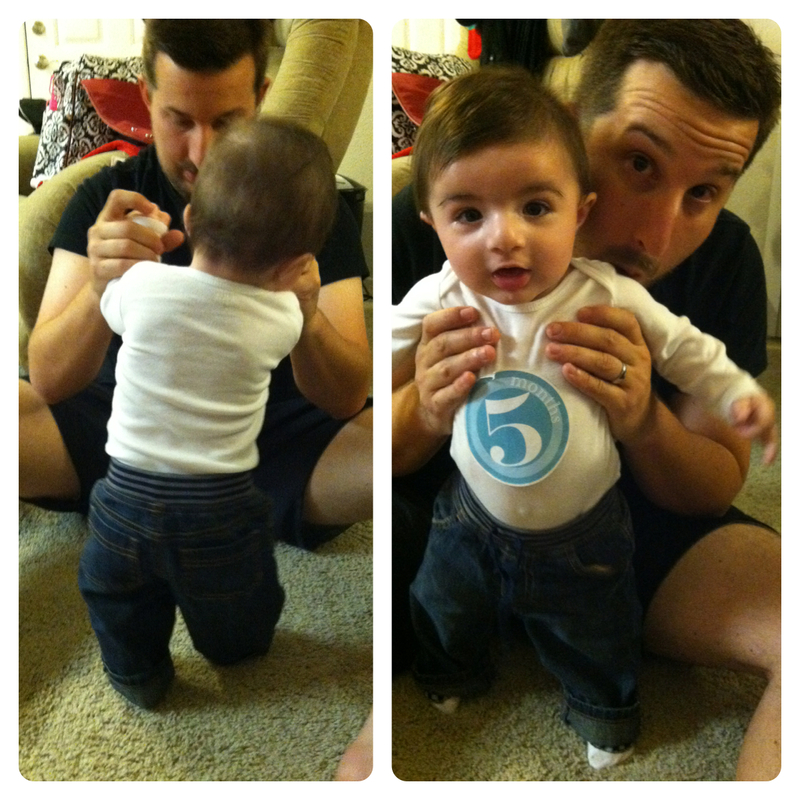 i am 5 months old! i rolled over 4 TIMES the other day and mommy FINALLY caught it on camera! and my first hanukkah last week! and my first christmas next week! He is adorable!!!! I just want to love on him! 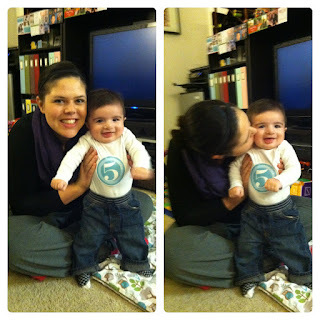 HAPPY FIVE MONTH BIRTHDAY MASON!!!! LOVE LOVE LOVE YOU!! !